Let’s try to see both sides to distinguish which option works best. For practicality reason, many homeowners decide to go for homemade cleaning solutions. Who would want to buy mold removal products when you can make one at home? In short, frugality has urged homeowners to find good alternatives to pricey products. Most of the ingredients in making mold removal solutions are used at home. Thus, you can easily find them either in the kitchen or in the washing area. The list of mold removal solutions continues to grow as several homeowners keep on experimenting. The most notable benefit of homemade solutions is probably the fact that majority of them are environmentally friendly. Therefore, they cannot create havoc to the environment when used in removing the molds. And of course, using these solutions enable you to save a considerable amount of money. It means great savings! For people who are always on the go, obviously, they would prefer ready-made products. There are homeowners who cannot allot much time in cleaning; thus, they opt to buy those mold removal products in stores. With so many brands available in the market, choices are enormous. Some consumers consider expensive brands to be highly effective in removing mold growth. Meanwhile, the efficacy of those cheap products might be uncertain. To be truly effective in eliminating molds, some manufacturers make use of strong chemicals and properties. These types of products are deemed to be harmful to the environment. In fact, they could be dangerous to the health if they continues to accumulate, However, not all store bought products contain harmful ingredients. Since the call for green initiative keep on expanding, several manufacturers show their support by producing eco-friendly products. Both options have their own advantages and disadvantages. 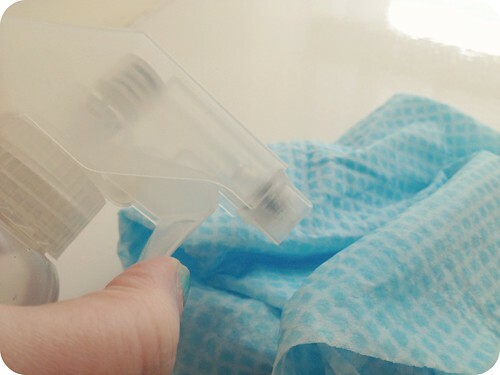 If you have plenty of time for cleaning, you may opt to make a cleaning solution. In contrast, you may drop by a grocery store to buy a mold removal product. Sometimes, your choice could depend on the degree of mold formation. In case the condition is very serious and the mold growth is hard to remove, you may consider hiring the service of professionals like the Lincoln Military Housing mold removal team. No matter what you chose, the most important thing is to get rid of the mold formation.